Happy first day of Spring! 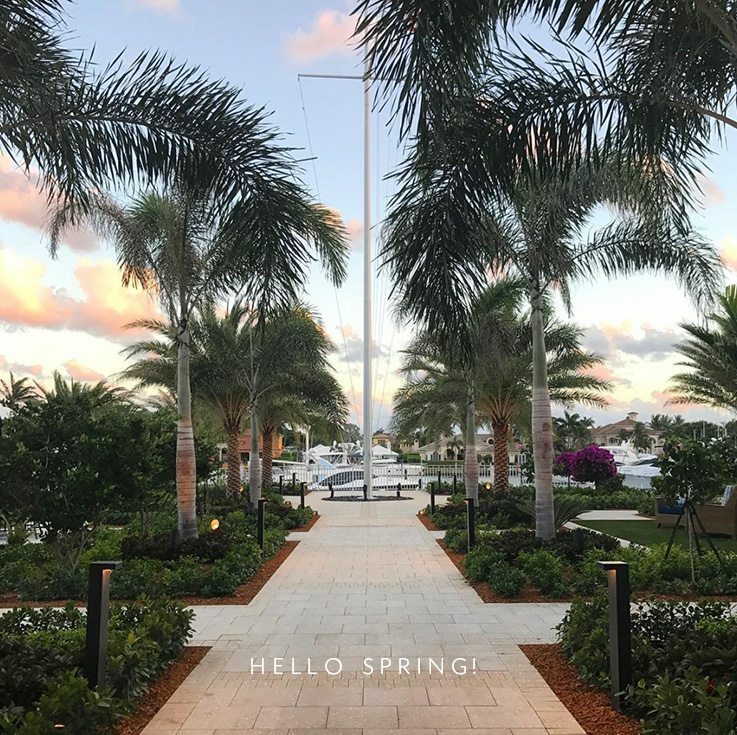 We are welcoming the new season in the sunshine state! This week we are on location in South Florida to celebrate one very special destination wedding for D&B. Be sure to follow along on Instagram for more behind the scenes fun! The Oscars is one of our favorite nights of the year – it is time to pop open the bubbly, celebrate the year’s greatest films and watch unforgettable sartorial moments unfold on the red carpet. We thought it would be fun to showcase some of our favorite styles of the evening and illustrate how the trends can be incorporated to your event. 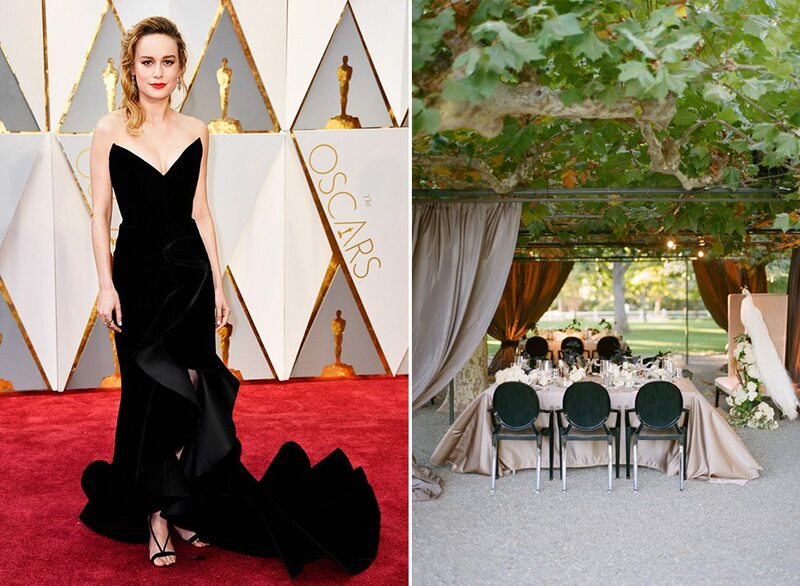 Brie Larson was stunning in her custom gown by Oscar de la Renta! This dress is classic elegance at its finest- perfect for the Oscars! While black isn’t a common color at weddings, we love incorporating accents with darker hues like these great dining chairs at an event by Lisa Vorce. When Emma Stone came down the Red Carpet in her Givenchy haute couture gown, we were immediately transported to our beloved clients’, Quinn & Josh, wedding. 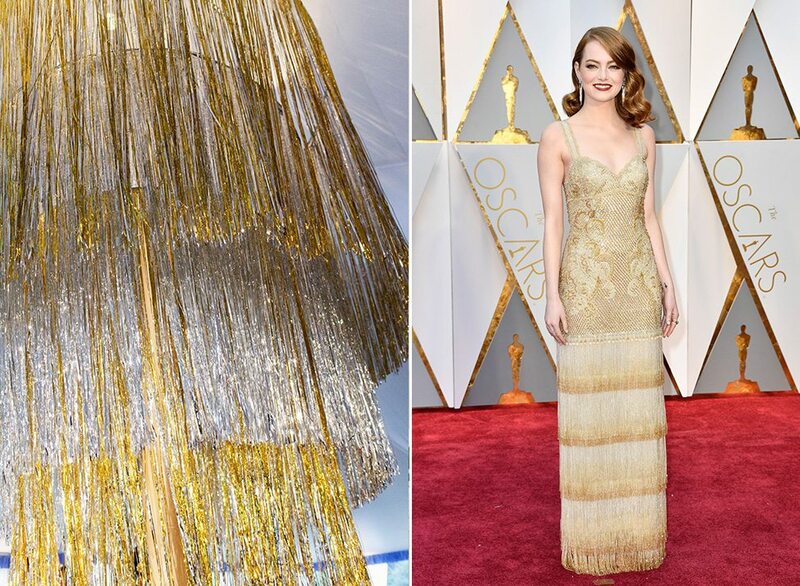 The chandelier at their “Roaring Romance” celebration was a showstopper and truly the star of the evening…just like Emma Stone! We were so happy she won the award for Best Actress in a Leading Role in La La Land. 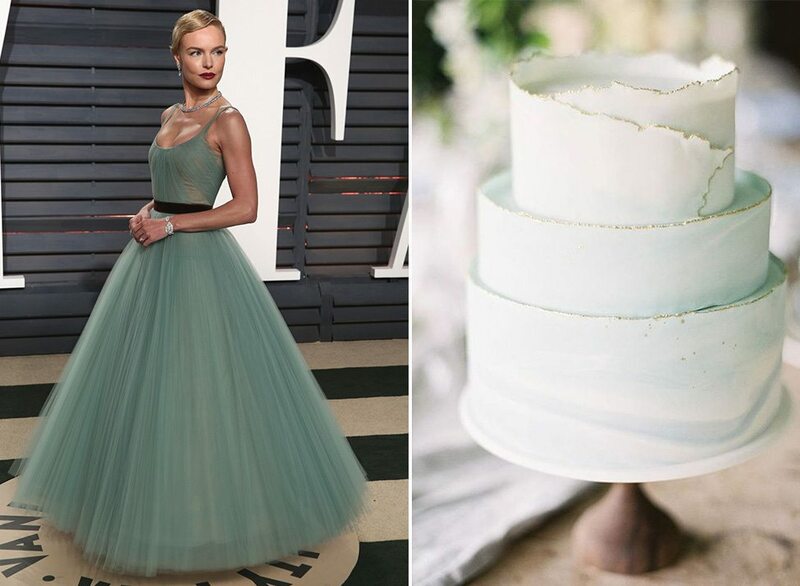 Kate Bosworth’s soft green, chiffon gown by J. Mendel was straight out of a dream! This color would be stunning for a spring wedding. It can be used to drape the room, as fabric for your bridesmaids gowns or even as the icing on the cake! 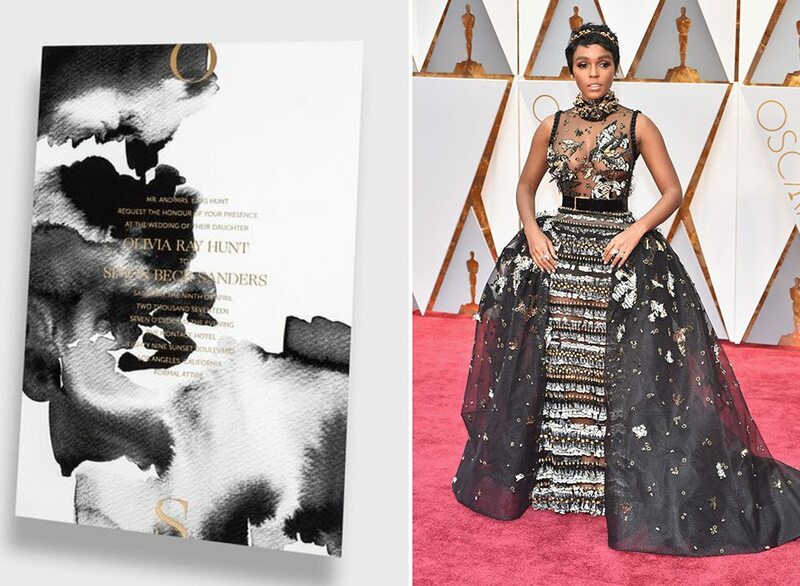 Janelle Monáe went all out for her first trip to the Oscars! What a style statement she made in this exquisitely detailed gown by Elie Saab. Bliss & Bone designs the most stunning stationery (shown to the left). The invitation is the first introduction your guests have to your event, so you’ll want the design to make an impact. We love the black watercolor design paired with the metallic gold lettering. A stunning combination! 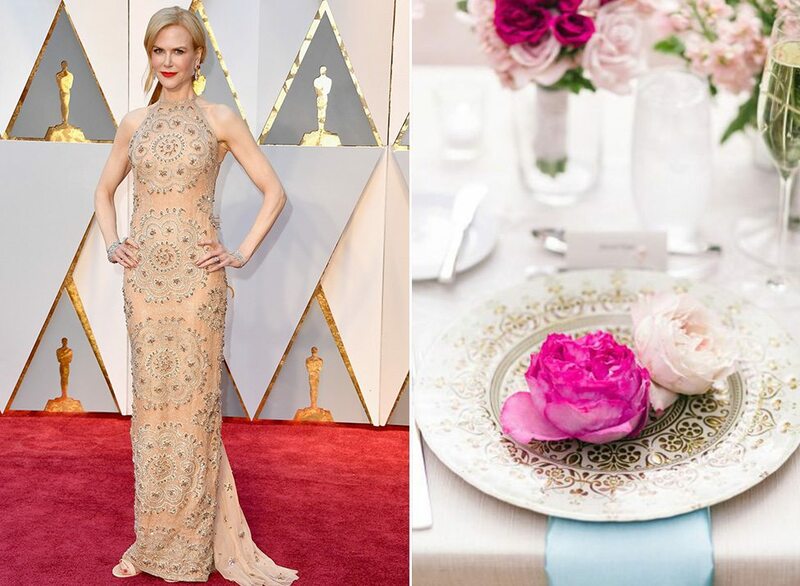 The patterned embellishment on Nicole Kidman’s Armani dress would be lovely to incorporate into a tablescape design with intricate linens or china. It’s all in the (gilded) details! 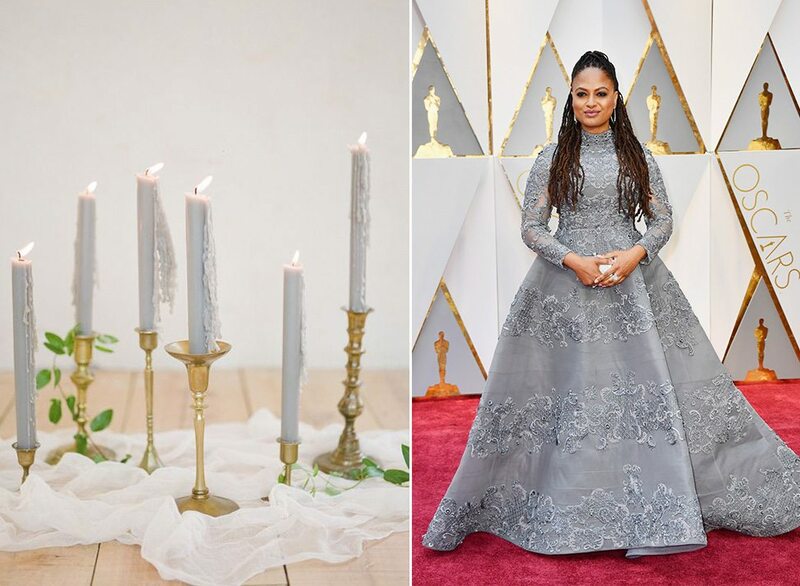 Ava DuVernay took our breath away in her custom Ashi Studio gown. Grey is a modern neutral and plays well with many other colors. We love the application shown on the left. Choosing grey candlesticks instead of white or ivory is unexpected and adds interest to the design. 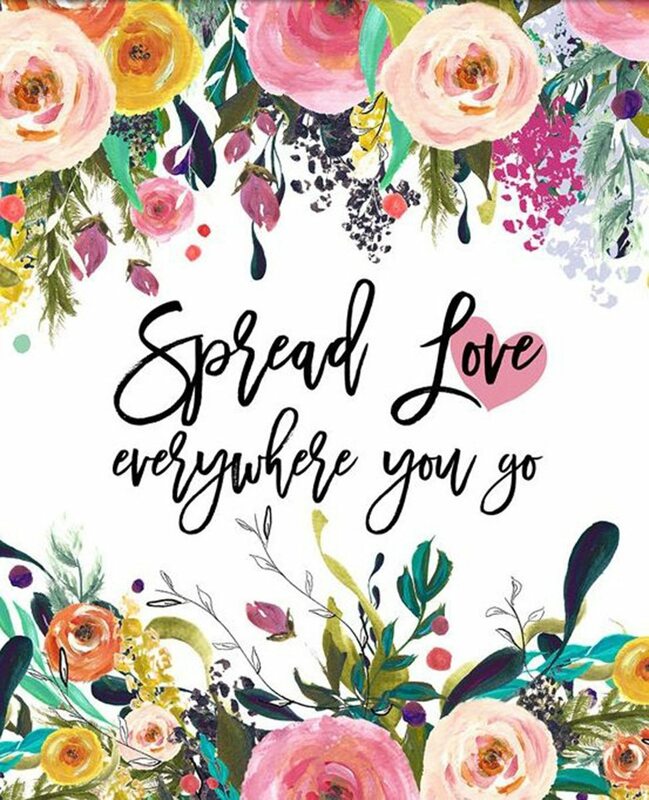 Whether you are celebrating with your galentines, your family or the love of your life, we hope your Valentines Day is filled with love and the things that bring you joy! 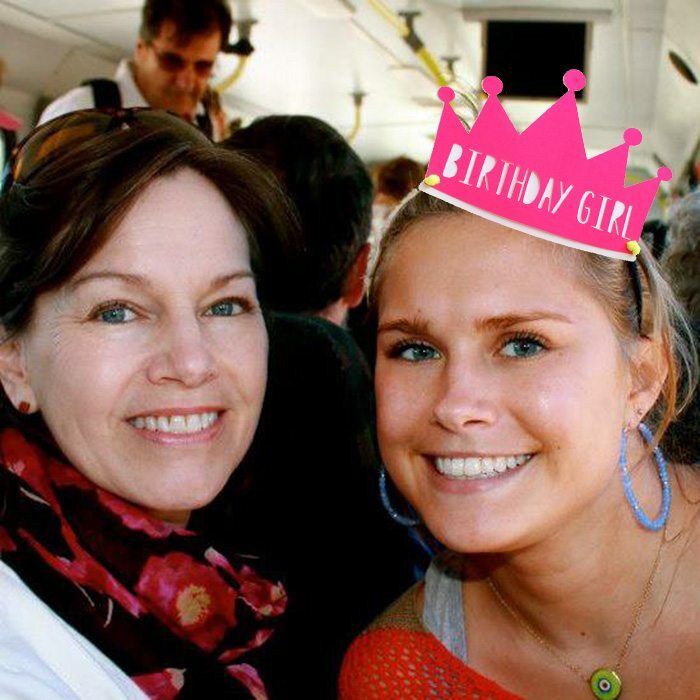 We also would like to send a special birthday wish to our amazing intern Libby who turned 21 today! Cheers to you Lobster!! Special thanks again to Carly Hill! 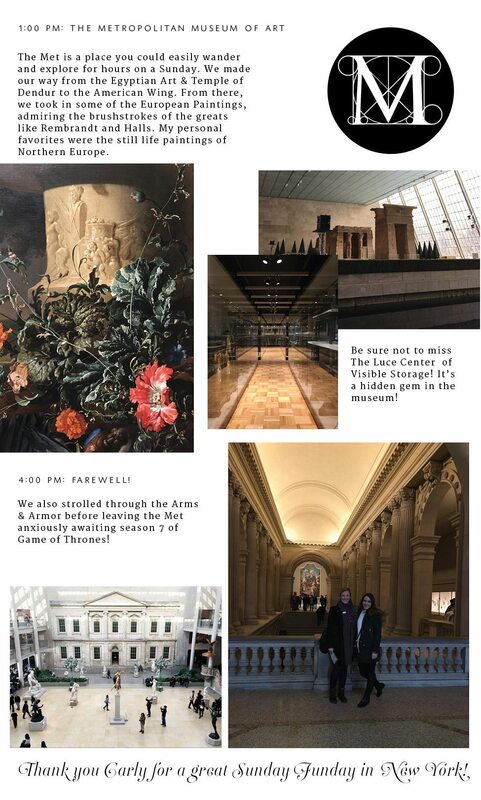 Be sure to follow her New York adventures on Instagram and through her fantastic blog!